Does the iPhone 4's Retina display make you nostalgic for the days when VGA was the equivalent of cutting-edge graphics? 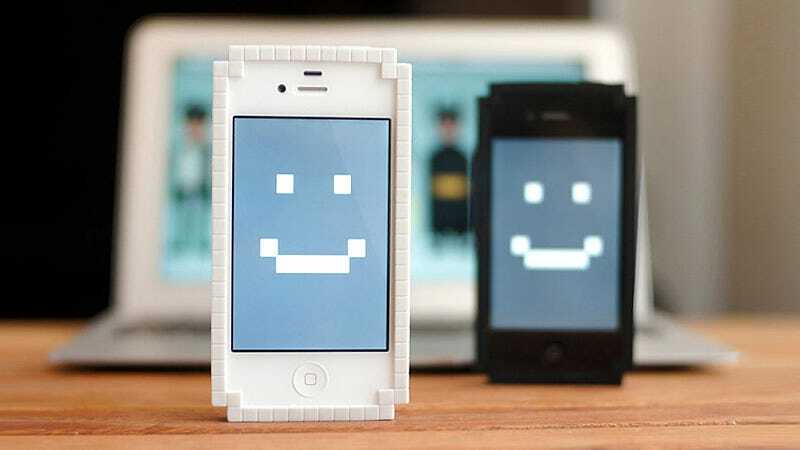 Well Big Big Pixels has the cure with its adorably pixelated 8-Bit bumper case that will transport your iPhone back to the Atari days. It's just $25, comes with a matching pixelated Apple logo you can stick to the back of your phone with an easy-to-remove silicone adhesive, and is available in black, white, or red. Who cares if it looks as uncomfy to carry in your pocket as the original rectangular NES controllers were to hold?